Chief Minister Siddaramaiah, who holds the finance portfolio, rolled out Karnataka budget for 2018-19. In the budget, he addressed healthcare, education, robust rail network, skill training, logistics network among others. 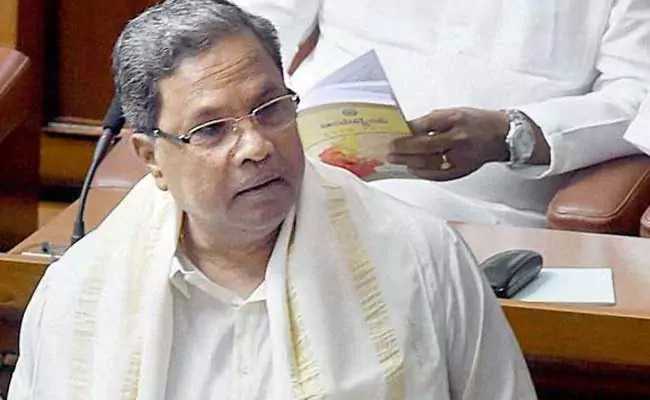 Karnataka Budget 2018-19: Siddaramaiah made his 13th state budget presentation, sixth in a row. Chief Minister Siddaramaiah, who holds the finance portfolio, rolled out Karnataka budget for 2018-19 today, just months before the state goes to polls. A total budget of Rs 2,09,181 crore was presented - a jump of 12.12 per cent from the last year's budget. A Rs 2,500 crore package for Bengaluru was rolled out by the minister for the "comprehensive development of Bengaluru". Indian-made liquor (IML) would cost more from April 1 as Mr Siddaramaiah announced 8 per cent increase in additional excise duty. Thrust has been given to digital Karnataka, healthcare, education, robust rail network, skill training, logistics network among others. Schemes for universal health coverage, free LPG gas connections and dry land farmers have also been rolled out. Mr Siddaramaiah described his government to be "farmer-friendly" and said, "Today, there is no situation in the state where any person goes to bed with hunger." This was Mr Siddaramaiah's 13th state budget presentation and sixth in a row. 1. Salary revision for 5.93 lakh state government employees and 5.73 lakh pensioners. 2. A farm loan waiver scheme of up to Rs 1 lakh from cooperative banks after the death of the farmer. 3. A new scheme called 'Raitha Belaku' to give direct income assistance to dry land farmers. 4. Under the scheme, Rs 5,000 per hectare, subject to a maximum of Rs 10,000 would be provided to each farmer growing rain-fed crops with money transferred directly to farmers' bank accounts. 5. Arogya Karnataka Yojana' (universal health coverage) to be made available to primary, and specific secondary and tertiary treatments for all. 6. Over 9,000 health and wellness centres to be set up by upgrading existing sub-centres for every 5,000 population in rural areas during the next seven years. 8. Students across Karnataka to get free bus passes. Karnataka Sports University to be set up under PPP model. Additional 1000-bed ward announced for Bangalore Medical College. 10. Implementation of 'Madhyama Sanjeevini', a group insurance scheme to all journalists with an insurance coverage up to Rs 5 lakh in case of untimely death due to accidents or casualties.